Could One Way Love be the answer to mending our busy, overly connected, fast paced, stressed out lives? I was very interested in Tullian Tchividjian's views and thoughts on the subject and was excited to review One Way Love. 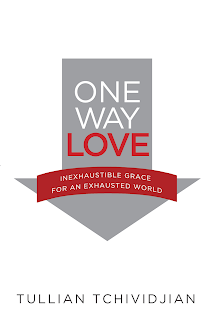 I'm even more excited that the publisher has agreed to offer one of my readers a free copy of the book as well--just enter via the Rafflecopter entry form at the end of this post for a chance to win your own copy of One Way Love by Tullian Tchividjian. I received a complimentary copy of this book for use in my review via my affiliation with Fly By Promotions. All opinions and thoughts are my own. About One Way Love. Real life is long on law and short on grace—the demands never stop, the failures pile up, and fear sets in. Life requires many things from us—a stable marriage, successful children, a certain quality of life. Anyone living inside the guilt, anxiety, and uncertainty of daily life knows that the weight of life is heavy. We are all in need of some relief. Bestselling author Tullian Tchividjian is convinced our world needs a fresh encounter with grace. My thoughts on One Way Love by Tullian Tchividjian. I really struggled with this book—and I gave both myself and the author a really tough time as I read it…..and eventually re-read it. As I write this review—I finally understand that I’m struggling with One Way Love in much the same way that I do with Grace every day in life….and I think that was a huge part of the author’s message for me. I have been so trained and socialized to rise toward achievement. To do it all. Have it all. Be it all. I have viewed sinless living as the obstacle ridden, “narrow path”—loaded with struggles and temptation. Life is a constant stream of right and wrong. Good and bad. I think I get it. Grace is not a “free pass” toward a sinful life. Living with Grace frees us from the struggles and obstacles before us. Living with Grace allows us to find peace, happiness, and to put our faith in God—and follow on the Path that He has chosen for us and feel good in knowing that it is the right path. Would I recommend One Way Love by Tullian Tchividjian? I think this book puts Grace into a modern-day perspective. I really wish that society was more conducive to a life of Grace than a power laden race to the finish. Can we stop the race? Or at least slow it down? I think this book offers us the encouragement to try—and to, at least, reflect on our own motivations and goals for ourselves--and maybe even ease up a bit on our self imposed pressures. William Graham Tullian Tchividjian (pronounced cha-vi-jin) is the Senior Pastor of Coral Ridge Presbyterian Church in Ft. Lauderdale, Fl. A Florida native, Tullian is the grandson of Billy and Ruth Graham. He is a visiting professor of theology at Reformed Theological Seminary, and a contributing editor to Leadership Journal. He is an ordained minister in Presbyterian Church of America. He is the author of six books; including the best seller, Jesus + Nothing = Everything that won Christianity Today’s 2011 book of the year. He travels extensively, speaking at conferences throughout the U.S. (Photo Credit Mike Meyer). 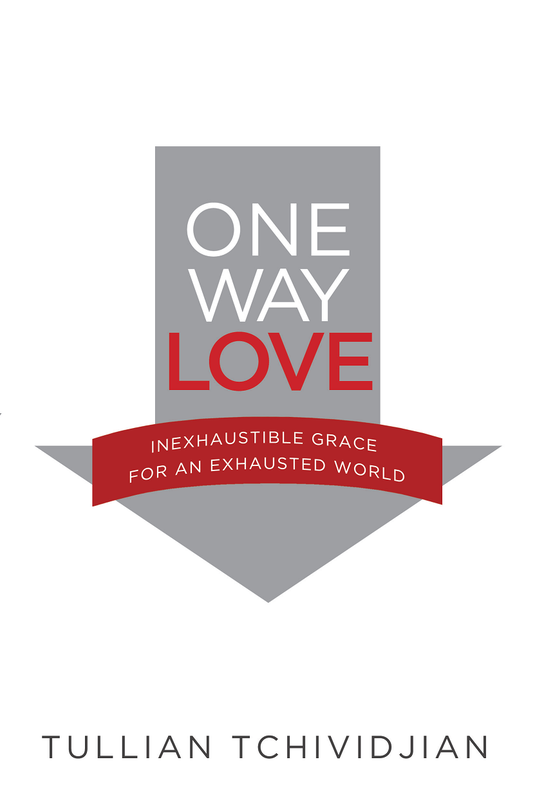 Enter to Win a Copy of One Way Love by Tullian Tchividjian. Simply enter via the Rafflecopter entry form below. I'm constantly stressed out by school, work, and relationships. There are so many things I have to manage carefully, it can be very overwhelming! Luckily, I have some really amazing people in my life that make dealing with everything possible.